Can a diet really heal? Do you want to boost your immune system? Try It! 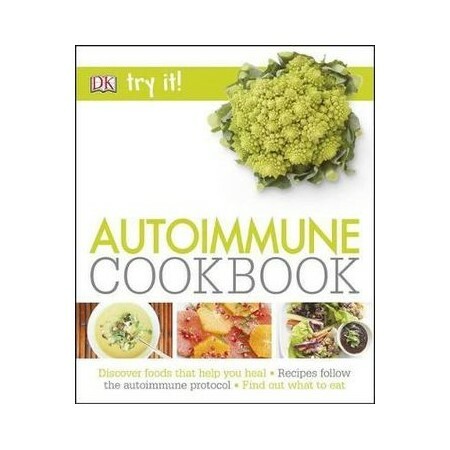 Autoimmune Cookbook presents tasty, everyday recipes that follow the autoimmune protocol (AIP). Whether you have coeliac disease, arthritis, food allergies, or one of the dozens of other autoimmune conditions, or even if you just want some immune system boosters, this book is for you. Try It! The Autoimmune Cookbook avoids all foods that can trigger inflammation: grains, dairy, eggs, legumes, nuts, seeds, nightshades, and refined oils and sugars. Handy shopping lists and meal plans mean you will never be stuck for meal ideas. With recipes to cover all occasions, breakfasts, appetizers, soups, mains, sides, desserts and lots more, there are plenty of tasty, healthy, immune boosting alternatives from foods that can cause inflammation. Whether you have an autoimmune disorder or just want to give your immune system a healthy boost, Try It! Autoimmune Cookbook will have you eating healthy and feeling healthy.